Well, what can one expect when you mix 500 grams of butter into 300 grams of powdered sugar, add a few drops of blue food coloring and smear it on the top of a poor unexpecting cupcake? 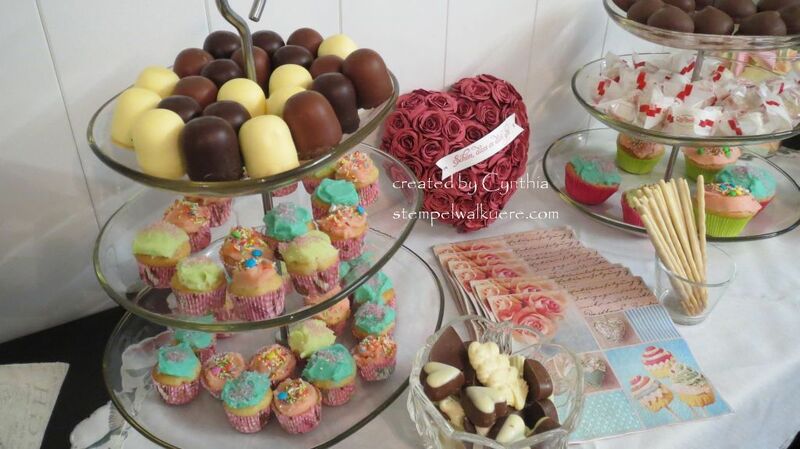 Here is a part of the treats which I prepared for my Sale-a-brations / Spring Catalogue Party. Just as we were getting started with the planned activities, the door bell rang and our postman delivered my Texture Boutique Embossing Machine. Just in the knick of time!! !